NGK racing B10 EGP for a performance boost and better ignition guarantees! 25,63 € 25.63 tax incl. We finally propose the application after much more equipped you, the real competition NGK B10 EGP! These candles are ultra efficient! It takes a very special technology both internally and externally. We advise them on the most advanced engines !!! They are relatively fragile especially in bad settings ... They are made ​​to rotate a high rpms with a perfectly tuned engine. B10 EGP was created for engines with a speed range of over 10,000 RPM. You may notice on the picture the fineness of the micro electrode which is welded lazer! This subtlety makes them both high performance ignition power that self cleaning but also cleanliness of explosion. By its very small does not bother the compressed gas or explosion. This competition NGK, very cold (temperature range 100), has a special insulation design to avoid "blowing" of the spark by gas turbulence; it supports the most extreme conditions and is really very different from normal candles. The competition candles have very particular electrode patterns (oblique ground electrodes, ring electrodes) as shown in the photograph. This sophisticated design helps prevent damage caused by the electrodes destroyed by vibrations. The "specialties" have a cost. 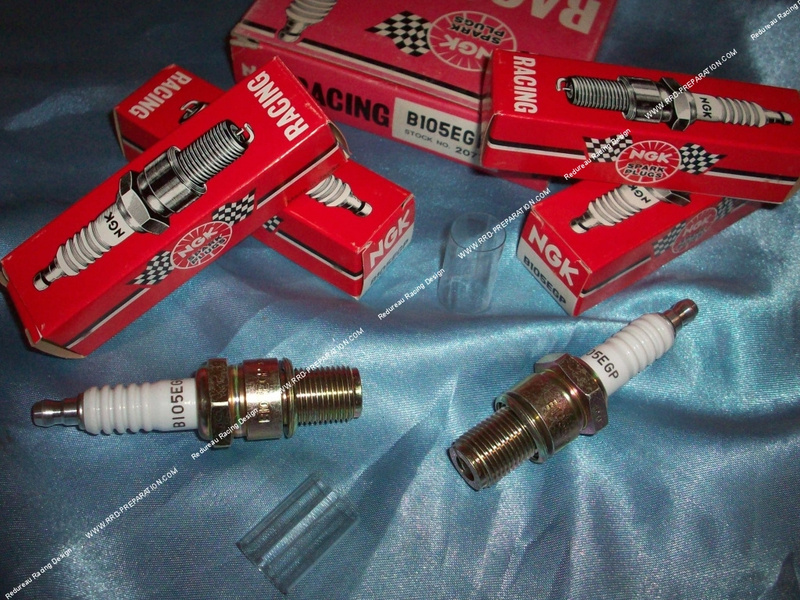 Spark plugs specially developed and manufactured for the competition are of course more expensive than standard candles. This is due: the request is not extensible because these candles are used only by professional teams, semi professional teams, preparers engines.